The gathering, storing and selling of your information. Many people are unaware of how the popular social media network Facebook came to fruition. 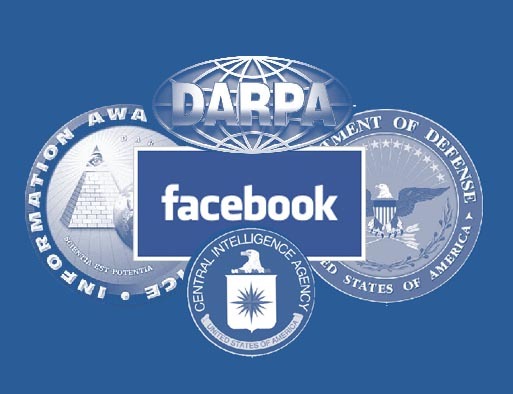 The little known fact is that the Central Intelligence Agency played a key role in giving Facebook’s creator Mark Zuckerberg the cash injection it needed to get off the ground. By February 1999, the Corporation was established as a legal entity, and in March it received its first contract from the Agency. In-Q-Tel was in business, charged with accessing information technology (IT) expertise and technology wherever it exists and bringing it to bear on the information management challenges facing the Agency. This isn’t exactly breaking news as it’s been established that the CIA, via their venture capital company, got Facebook up and running. But why? Like it says above the CIA realised that to stay ahead in the information age you need to be plugged into it. Facebook is a prime example of how to spy on people without actually spying on people. Technically it doesn’t need to spy on you because we’re all doing it for them. And they store your information. All of it. Every single bit and byte of data relating to your online activity is stored and an online identity is formed about you. Who you are, where you work, where you live, who your family and friends are, what your political views are, who you associate with, what websites you frequent. All of it. But to what end? To put it simply, information is profitable and powerful. There are firms across the globe that trade in such information. Buying and selling things like email addresses, mobile phone numbers, demographical statistics, etc… You can easily see them with a simple web search. However websites like Facebook, Google and YouTube have specially designed algorithms hiding behind every mouse click. They ingeniously use the data gathered to very quickly push customised advertising at you. This is the main revenue stream for these companies. Their systems enable them to target market to consumers as they click and type away on their sites. Even your geographical location is transmitted via your ISP to the site your visiting. Ever wondered how they knew you were looking for a new car in your capital city for example? Therein lies the switch. You’ve suddenly gone from a consumer using a product to a product of consumerism. You are no longer an anonymous person on their computer doing a web search. Within a few clicks you have become the item a business wishes to sell and you didn’t even know it. Whether or not that’s good thing or a bad thing is ultimately up to the individual. However keep in mind the next time you are online doing a web search, posting a status update, checking in to your current location or posting a photo, keep in mind that this information will ultimately be used against you at some point. Most likely just so you click an advertisement in the hope you will buy or use their product. There also may be nefarious reasons although unlikely. But the framework is in place for that to be just the case. A good reason not to have facebook. I know it can be used against them in some circumstances, however I’d prefer to steel clear. Plus, I don’t know much about all that computer electronic mumbo jumbo, bring back the type writer!!! I hope everyone take note of the search engine used above, Startpage people, for your privacy. Good article again General, you my friend are on fire. It seems from my readings that people of Jewish descent are in control of internet sites such as Facebook, Google, YouTube et al. It also seems that these modern entrepreneurs have support from the enigmatic and questionable CIA. I have a problem with this or, as been said, a stone in my shoe…. the playing field is not level! But… is it just all about consumerism?…… Gus. Will check it out Gus. A few weeks ago we looked up holiday accommodation in Cairns. Lo and behold, every time we used the internet after that, up came all these ads for … you guessed it – holiday accommodation in Cairns. I ran the CCleaner program which wipes out internet history and cookies – and that stopped the ads.